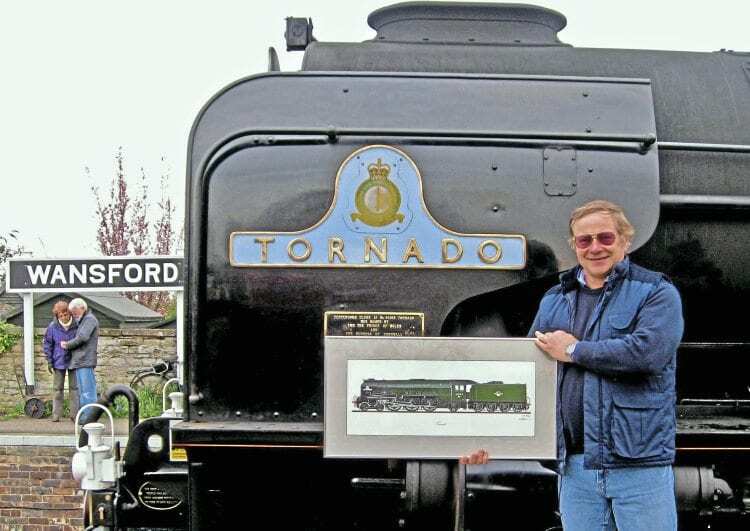 When Stuart Black retired from his high-flying job as a weapons systems operator and instructor on supersonic Phantom, Tomcat and Tornado fighter aircraft, he opted for a rather quieter and slower life that reflected his family history of a passion for railways. Stuart retired from the RAF in 2005 after a 31-year career, during which he rose to group captain, and since then he has forged a niche for himself in the world of graphic art, becoming much respected for his profile illustrations of locomotives. And now, as this second career blossoms, he has had published his Loco Spotter’s Guide, which contains profiles of locos ranging from Puffing Billy of 1813 to Class 68 diesel-electric No. 68009 Titan, built in 2013. With a family railway background that stretches back nearly 125 years, his fascination with locomotives, particularly steam, comes as no surprise. His great-grandfather Alf Black, born in Aberdeen in 1877, started work with the Great North of Scotland Railway as a locomotive cleaner at the city’s Kittybrewster shed in 1893, by which time his brother Tom had already launched a long career with the company.